Netflix's Sandra Bullock thriller Bird Box, which debuted in late December, quickly became one of the most talked about original movies in the platform's history. Whether you believe the company's own claim that over 45 million accounts watched the dystopian drama in its first seven days -- take any Netflix data boast about viewership with a grain of salt -- it's clear that lots of people at least folded laundry and streamed Bird Box over the holidays. How do we know? It's inspired countless memes and now a physical challenge that can cause bodily harm. Like eating Tide Pods or dancing outside of your car while Drake's "In My Feelings" plays, the "Bird Box Challenge" relies on the willingness of the participant to risk embarrassment and injury in pursuit of laughs -- and, hopefully, views. The challenge involves wearing a blindfold, like the characters in the movie do to avoid the danger of seeing the monster that makes you kill yourself, and running around like an idiot, possibly crashing into something. (This popular clip of a toddler running into a wall should give you the idea.) Then you post it on social media and wait for the faves to rack up. Apparently, enough people have participated in the challenge that Netflix's Twitter account felt the need to make the following warning to its users. As far as public health warnings go, it's not particularly stern, which makes sense because most of the "Bird Box Challenge" videos are relatively low-stakes endeavors. You put the blindfold on, bump into a few things, and call it a day. For example, the clip below mostly just consists of family members playfully pelting each other with ping-pong balls while blindfolded. It's not exactly a Jackass-level stunt. The "Bird Box Challenge" arrives amidst speculation that some of the Bird Box memes, which spread quickly after the film's release, were "fake." In a series of (now, mostly debunked) conspiratorial accusations leveled against Netflix, some Twitter users claimed that fake accounts were used to create and spread Bird Box memes. 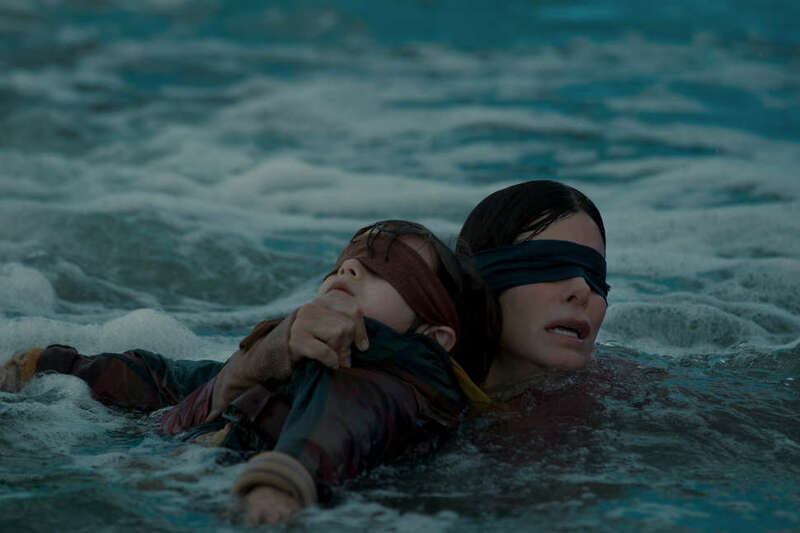 As with most internet-based pop culture phenomenons, the source of a given meme can be difficult to untangle, but it feels like the simplest explanation might just be true in this case: People watched Bird Box. This doesn't seem that hard to believe: Last year, tons of people watched Bright starring Will Smith, and that was terrible. But by even making this public statement, which comes over a week after the movie was released, Netflix is also inspiring articles, like the one you're currently reading. Also, it encourages more people to check out Bird Box (available on Netflix! ), watch a few "Bird Box Challenge" videos, and, if they're so inspired, attempt to film their own viral masterpiece. Though most of the "Bird Box Challenge" videos live on platforms like YouTube, Instagram, and Twitter, it's still a feedback loop that brings viewers back to Netflix. If that feedback loop includes a trip to the hospital, maybe the doctor who stitches you up will be inspired to check out Bird Box.